In 2014-15 the faculty in the Department of Music at the University of Chicago where I teach decided to boil its eight graduate proseminars in music history down to four. Given the changed critical orientations and demographics of the field, the time seemed right. The three chronologically earliest proseminars have now been collapsed into the “Medieval” proseminar, running from ca. 900 to ca. 1500; the three middle proseminars, corresponding roughly to the sixteenth, seventeenth, and eighteenth centuries, have been collapsed into another, the “Early Modern” proseminar; and the nineteenth- and twentieth-century proseminars have remained the same. The hope is that students might become broadly acquainted with a whole of span musicological issues extending through “literate” music history (to borrow Taruskin’s coinage) in a fairly efficient set of courses. Having taught two of the courses that have now been absorbed into the Early Modern proseminar, I find myself musing on what the new combined course might look like, even as my colleague Bob Kendrick takes the first crack at it this term. One of my votes for a hot cross-early-modern-studies issue has to do with composition, improvisation, and performance. In fall 2014 when I last taught the sixteenth-century proseminar, it seemed to me that the most exciting development in Renaissance musicology involved the changing nexus of relationships among composition, improvisation, performance, and counterpoint. The research that had recently emerged from the Toulouse-based project FABRICA (FAux-BouRdon, Improvisation et Contrepoint MentAl), spearheaded by Philippe Canguilhem, struck me like a thunderbolt, especially Canguilhem’s edition of Vicente Lusitano’s treatises and his article for Early Music History, “Singing upon the Book according to Vicente Lusitano.” Kate van Orden has offered an appreciative gloss that highlights their groundbreaking studies of descant and fauxbourdon, using ethnomusicologists and early music groups that work on extempore performances of imitative polyphony in up to four or five parts, while noting the “profoundly destabilizing” effect of their work on our sense of the written and the oral, composition and counterpoint. The central protagonist in the sixteenth-century part of the story is Lusitano himself, who explains the practices involved more richly than any other witness. It seems that previously we had little sense of the devilish improvisatory feats of which a highly trained singer or chapel master was capable—things like adding a line to a plainchant while simultaneously using the Guidonian hand to show two singers how to add further lines (Canguilhem, “Singing Upon the Book,” 57). Perhaps we should not even call such a practice improvisatory because it involved a convention-bound but creative use of oral tradition. 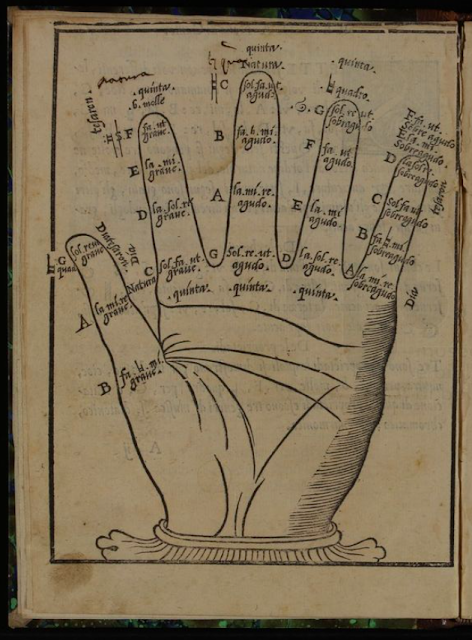 Vicente Lusitano's version of the Guidonian Hand. 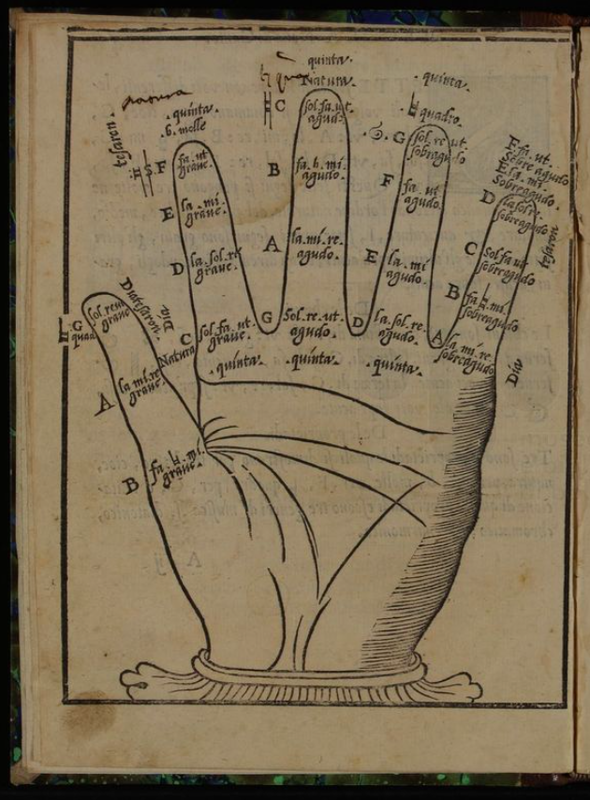 From Introduttione Facilissima (Rome: Antonio Blado, 1553), f. 2v. Forty pages into “Singing upon the Book,” Canguilhem poses the big Renaissance question that has echoed over some decades, signally with Margaret Bent and Bonnie Blackburn. “What links are there between counterpoint and composition for Lusitano? How does he conceive the interplay between orality and written notation in the creation of polyphony?” (95). What emerges is that Lusitano the didact considers composition to be but a step along the way toward learning the art of improvised counterpoint. And Lusitano was not alone. Diego Ortiz and Juan Bermudo too thought composition “propaedeutic for the practice of counterpoint” (96). In light of all this, Bent seems prescient in having complicated the relationship between res facta and cantare super librum nearly thirty years earlier. 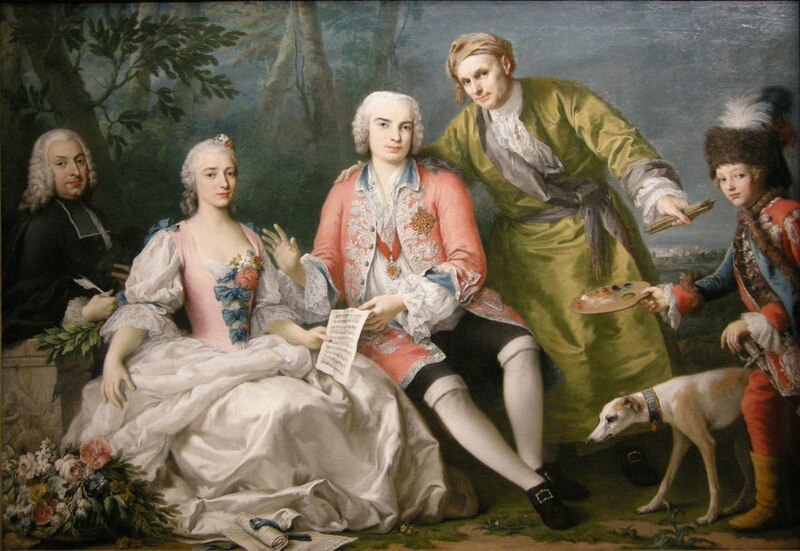 Farinelli, seated at center, painted by Jacopo Amigoni c. 1750-2. Both studies leave the work concept in tatters. To be sure it was already fraying badly, but we had at least believed that there was a wide gap between composition and counterpoint in the sixteenth century much as we had believed that eighteenth-century singers basically performed the arias that composers wrote. Now we are less sure of both. I hope some of you will tell me how you would suture the sixteenth century to the eighteenth via the seventeenth in all of this. And let me know what you consider to be the hot issues simmering across early modern musicology. Meanwhile, I have preordered my copy of Canguilhem’s L'improvisation polyphonique à la Renaissance with Amazon.fr (2015 imprint date, but still forthcoming), and will be clamoring to get Desler’s new work the minute it’s available as a book. Martha Feldman is the Mabel Greene Myers Professor of Music at the University of Chicago and President-Elect of the AMS. 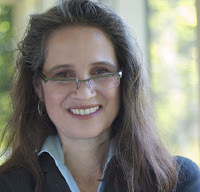 She is the author of City Culture and the Madrigal at Venice (1995), Opera and Sovereignty: Transforming Myths in Eighteenth-Century Italy (2007), and The Castrato: Reflections on Natures and Kinds (2015) and is co-editor of The Courtesan's Arts: Cross-Cultural Perspectives (2006). Philippe Canguilhem, ed., Chanter sur le livre a la Renaissance: Une edition et traduction des traités de contrepoint de Vicente Lusitano (Turnout: Brepols, 2013), and idem, “Singing upon the Book according to Vicente Lusitano,” Early Music History 30 (2011): 55-103. See van Orden’s part of the review essay by Elizabeth Eva Leach, David Fallows, and Kate van Orden, “Recent Trends in the Study of Music of the Fourteenth, Fifteenth, and Sixteenth Centuries,” Renaissance Quarterly 68, no. 1 (spring 2015): 187-227, at 211-12, quote on 211. See Margaret Bent, “Resfacta and Cantare super librum,” Journal of the American Musicological Society 36 (1983): 371-91, and Bonnie J. Blackburn, “On Compositional Process in the Fifteenth Century,” Journal of the American Musicological Society 40 (1987): 210-84. The Castrato: Reflections on Natures and Kinds, Ernest Bloch Lecture Series, no. 16 (University of California Press, 2015).